I'm using using a few different custom color pickers in Affinity Photo (view > Apple Colour Picker). I've noticed that when entering hex values in a color picker, the values are translated incorrectly into Affinity Photo. 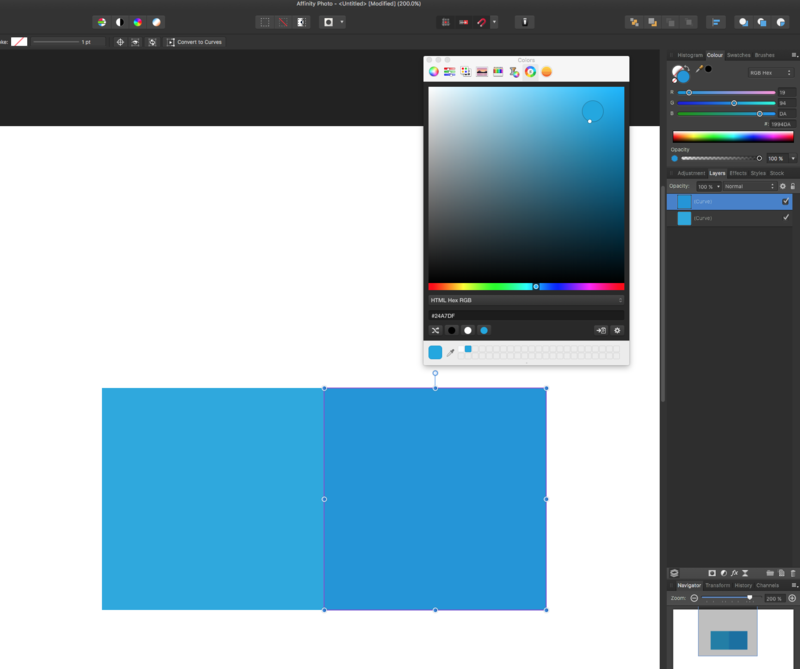 For instance, when using Skala Color, if I enter in a hex value of #24A7DF, it immediately gets displayed as #1994DA in Affinity Photo's color picker. I've tried using Apple's default RGB sliders, Skala Color, and Antetype Color Picker, all with similar results. I've also tried using 8 and 16 bit color RGB documents with the same results. Any idea what might be causing these issues? Thanks for this, i've got it logged so the developers can look into why this is happening.